(CBS/AP) PHOENIX - The mother of an 8-month-old boy who vanished three years ago avoided what could have been a lengthy prison term after a jury failed to reach a verdict on the kidnapping charge against her, instead convicting her of a lesser count of unlawful imprisonment Thursday. 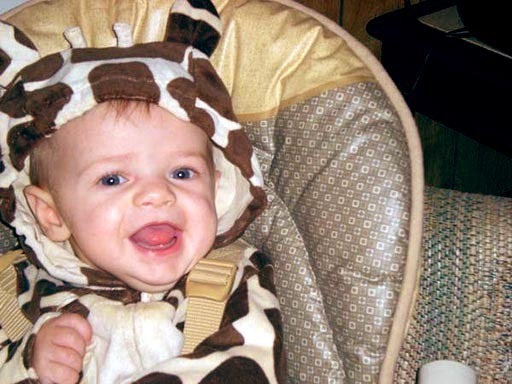 The verdict means Elizabeth Johnson now faces a sentencing range of two to nine years, despite being suspected in the Christmastime 2009 disappearance of her then-8-month-old son, Gabriel. The child has never been found. Johnson's attorney Marc Victor even said he would try to seek probation for his 26-year-old client, noting she already has spent nearly three years in jail. No sentencing date has been set. The Maricopa County jury deliberated for about a day and a half, and found Johnson guilty of custodial interference and conspiracy to commit custodial inference. Jurors couldn't reach a decision on the more serious charge - kidnapping - and they declined to speak with reporters after announcing the verdicts. Gabriel was last seen with his mother on Dec. 26, 2009, at a hotel in San Antonio, Texas. Authorities said Johnson told Gabriel's father that she killed the boy and dumped him in a trash bin there. But authorities said she later recanted and told police she gave the baby to a couple at a San Antonio park. She never provided the couple's names. Gabriel would have turned 3-years-old this past April. But authorities don't know if he's still alive, and few clues have emerged. In 2010, San Antonio police scoured a landfill that contained trash from the hotel where Gabriel was last seen. The search turned up no body or other evidence. Johnson initially was found mentally unfit to stand trial but was later cleared to proceed. She had faced up to 27 years in prison if convicted on the kidnapping and other charges. In closing arguments, prosecutor Angela Andrews said Johnson used Gabriel as a pawn in her disputes with the boy's father, Logan McQueary. The prosecutor alleged Johnson ran off to Texas with the child as a way to retaliate against McQueary for ending their tumultuous relationship. McQueary isn't suspected in the child's disappearance and wasn't in court Thursday. Victor presented no defense witnesses at trial. He predicted the jury would convict Johnson on the custodial interference charge because she violated a judge's custody order. But he argued prosecutors otherwise failed to prove his client's guilt. Victor described Johnson as an unsophisticated single mother who was under a lot of stress, was in a volatile relationship with the boy's father, and was being manipulated by a woman who wanted to adopt Gabriel. Investigators said Johnson brought the child from Tempe, Ariz., to Texas, stayed for a week and then took a bus to Florida without him. She was arrested in Florida on Dec. 30, 2009. Johnson had been fighting with McQueary about whether to give up Gabriel for adoption. She signed over temporary guardianship of the boy to a Scottsdale couple for about 10 days before she picked him up and left Arizona. The would-be adoptive mother from Scottsdale, Tammi Peters Smith, was accused of lying on a court document about the child's possible paternity in an effort to keep Gabriel from his father. Smith was convicted of forgery and conspiracy to commit custodial interference. As the verdicts were delivered Thursday, Johnson shifted in her chair but showed no emotion. She wore a dark blazer over a peach-colored shirt with white stripes, and her long, brown hair was in a ponytail. Gabriel's paternal grandfather, Frank McQueary, said afterward he was pleased that Johnson got three convictions. But he said the lighter punishment she'll face rankles him. "Elizabeth is one of those not-so-nice people who, quite frankly, shouldn't be walking around with everyone else," he said.